In a bowl combine garlic, lemon, cayenne and olive oil. Put the lamb cutlets and mix to coat lamb with marinade evenly. Set it aside and let it marinate for an hour. Place broad beans, 2 tbsp olive oil and lemon juice in a food processor and pulse until its mashed but leaving some chunks. In a sauce pan add the olive oil, mint, parmesan and broad beans, cook in low heat. Season with freshly ground black pepper and salt. In a grill, cook lamb for 3-4 minutes on each side. 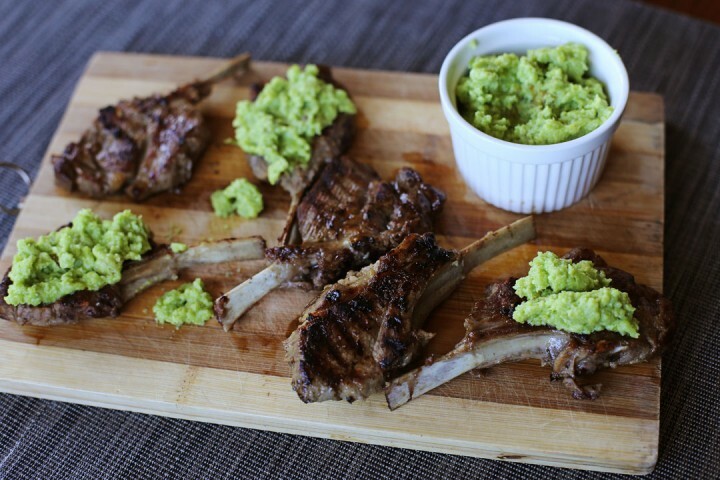 Serve lamb chops topped with mashed broad beans on top.